From modest beginnings as a restaurant operator almost 20 years ago, Chutneys are today Oxford's premier restaurant of Indian foods. 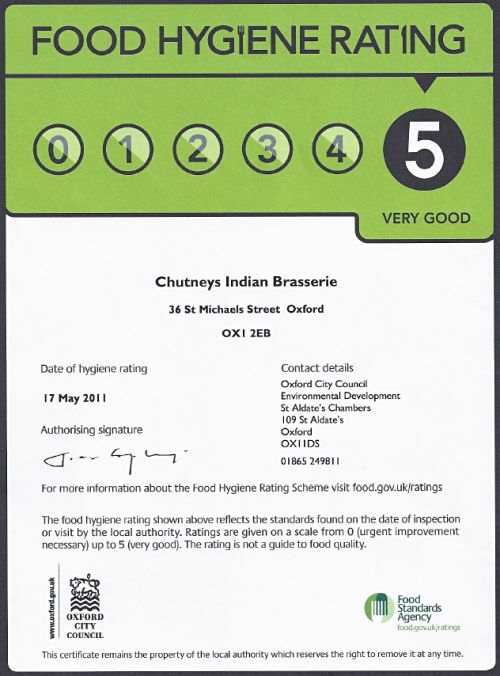 Chutneys is one of only an authentic Halal restaurant that offers traditional (Halal Indian) in Oxford, purpose built to the highest attainable standards of food hygiene and technology to EC standards. 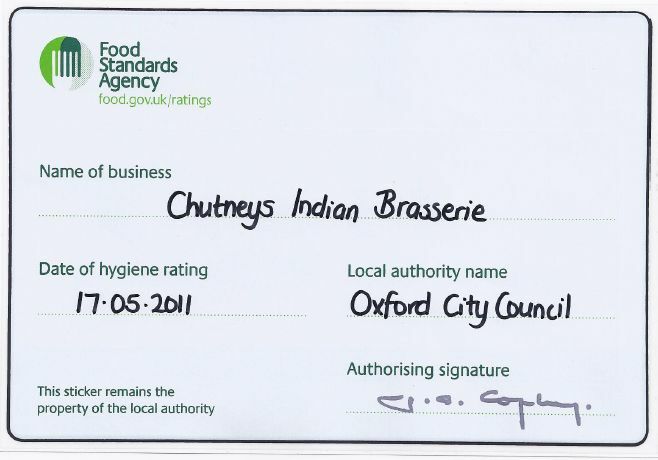 Chutneys produce restaurant meals under the licensing authority of "Oxford City Council"
What is the Chutneys Hygiene Policy? Chutneys are committed to ensuring that good hygiene standards and temperature control are maintained at all times during processing and delivery of its foods. 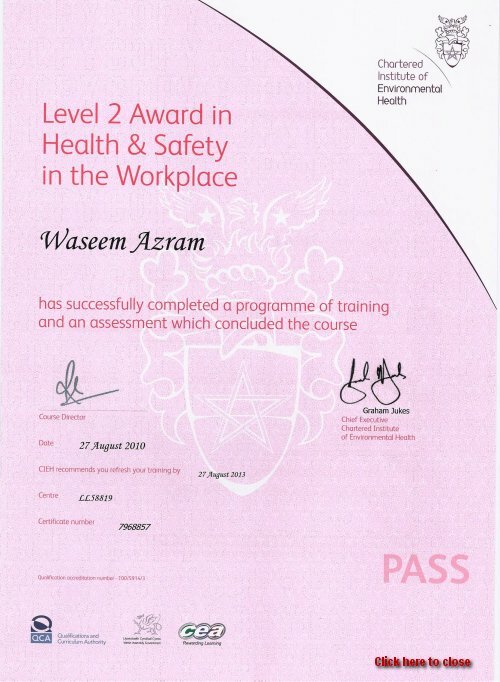 Food service staff undergoes CIEH Level 2 Food Hygiene training and many have received certificates. 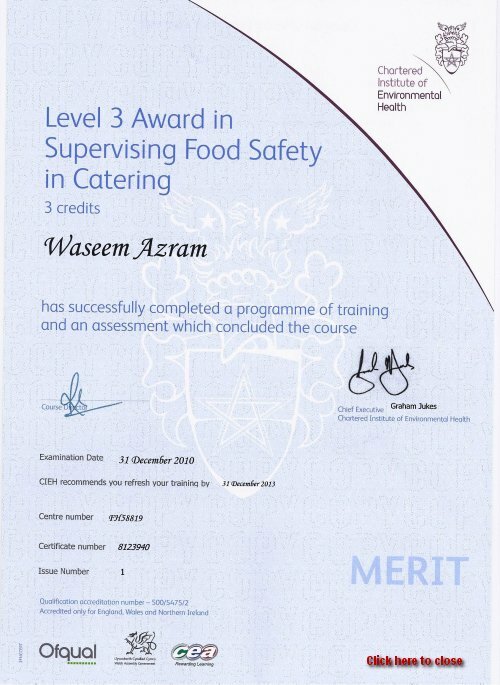 Managers and chefs are qualified at Level 3 in Food Hygiene. Our own Food/Health & Safety Consultant audits the restaurant and its operation on a weekly basis alongside his team, which supervises each and every stage of our production. Our policy aims to ensure that the legal requirements under the Food Hygiene (England) Regulations 2006 are complied with Food Safety Management (HACCP) Control Systems are also in place for all our menu range. Chutneys are continually striving to improve and update its operation to the latest technology to ensure that its customers receive high quality meals with a guarantee that the food received is safe and hygienic.